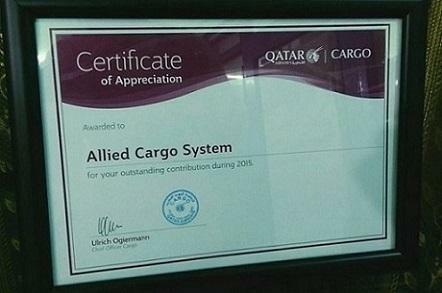 UFO representatives in Pakistan, Allied Cargo System are pleased to share they have been awarded by Qatar Airways as a Top 10 Cargo Sales Agent for 2015. Team Leader at Allied Cargo System, Najeeb Ashraf states; "We are proud to receive this certificate of appreciation from Qatar Airways and we thank all our UFO partners and colleagues for their support to achieve this milestone". 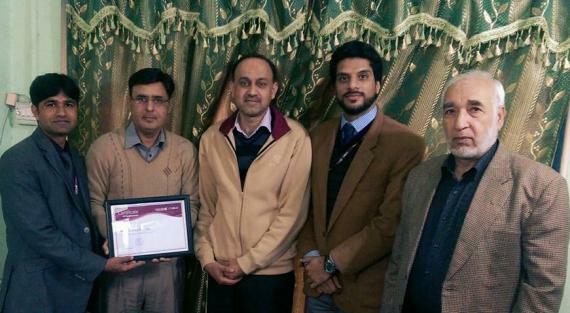 Please click on the thumbnail image below for a photo of the Allied Cargo System team with the certification.